Many critical HR tasks either start with or require communication. As a practitioner, you have a rather diverse audience: executives, middle managers, rank-and-file employees, stakeholders, and even prospective members of your organization. And because communication sits at the core of your regular workday, being really skilled at it gives you a better shot at hitting your goals and bringing value to the business. According to the Society for Human Resources Management (SHRM), HR professionals with strong communication skills are “strategically positioned to have a great impact in the workplace.” Technical knowledge and a mastery of business functions can get you far, but it’s hard to resolve conflicts as well as persuade and lead people if you can’t communicate well. SHRM argues that, even with all the HR knowledge in the world, practitioners’ inability to communicate their understanding of the business will leave them unable to use their knowledge for the good of the organization. Lacking the needed competencies in communication can hinder you from keeping employees engaged, recruiting great talent, and relaying crucial information to its intended recipients. It can make you responsible for the worst kind communication breakdown: the one that lands companies in court, blots reputations, and costs a lot of money to recover from. We gathered specific practices that will help you become a better communicator in a modern working environment. Consider applying the following hacks and help your company succeed one message and medium at a time. The most successful executives today cut right to the chase and get their point across with as few words as possible. 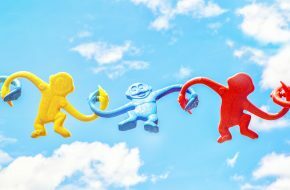 They interact with their team in ways that resemble everyday conversations, a practice that, according to research, leads to high levels of alignment and employee engagement. Leadership coach Marcel Schwantes provides a list of phrases that lets you win your audience’s trust, which serves as your key to getting their full attention. How did you think that went? When it comes to performance reviews and evaluations, this expression allows you to reserve your judgment, avoid confirmation bias, and gain insight into an employee’s standards and work ethics, which you should gauge in case there is a need for improvement. I couldn’t have done it without you. You can’t expect people to hear you out if they think you’re an ungrateful credit-grabber whom they have to put up with. This is a good way of saying “thank you” and of giving credit to those who should get it. Here’s what this means for you. If you’re trying to introduce an organizational change, this phrase can help you transition to that change’s benefits and effects. But your success doesn’t depend on the expression itself as much as as it does on what comes after it. Communicate only the things that are relevant to your audience, because that’s what the phrase prepares them for. In business communication, thinking of how and why you will relay a message is as important as the message itself. According to Communication Theory, any message communicated without proper planning is bound to be haphazard and disjointed. So much is at stake in interactions throughout the corporate world (especially in those with legal implications), and a poorly expressed statement or a misplaced opinion can burn professional bridges and even lead to litigation. Much of business communication requires a genuinely positive environment to unfold in, and to cultivate such a venue, leadership expert Dr. Ramiro Zuniga suggests that you do one seemingly simple thing: say “thank you.” “When a leader shows gratitude, it helps create a positive atmosphere,” Dr. Zuniga says. “The display of gratitude conveys the message that all is well and moving in a forward direction.” Fast Company says that expressing a little gratitude whenever appropriate also helps you convey confidence, something that you must never run out of as someone who has important things to say. It’s easy to give in to anger when a person or situation fails you, but as a leader and an agent of positive workplace culture in your organization, you’re expected to keep your emotions in check. After all, your job is to resolve the problem, not to make it worse. Anger, according to Evolution Counseling, “can unnecessarily hurt you and the people you care about as you aggressively attack when what you really need is comfort and time to process.” By letting anger devour you, you’re also skipping an opportunity to respond within reason, a non-negotiable element of effective business communication. Instead of letting violent emotions take charge right away, you may first consider expressing your frustrations in terms of sadness, not anger. Psychiatrist and bestselling author Gordon Livingston has the best explanation on why you should do this. By now, it should already be established how important feelings are in communication. With the busy and impersonal culture of most workplaces, however, this fact is often overlooked. Conover says that emotionally aware leaders are better communicators for a number of reasons. They notice the emotions of the people they’re talking to and the ways their feelings influence the way they communicate. They also easily understand what others are trying to tell them and why they’re being given that information. Many have been born with or have grown exceptional talents in persuasion, public speaking, writing, and the like. Some, however, fall short in these departments. 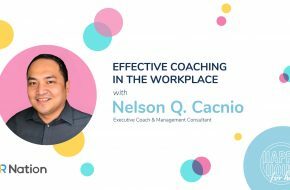 The good news is, with enough time, dedication, and willpower, everybody can develop the flair for communication, something that all leaders and HR practitioners like you need to succeed. With the changes that are taking the industry by storm, HR practitioners like you are now being asked to step up: do less back-office work and more tasks that involve leadership, process improvement, policymaking, and the like. You’re now expected to strike up and immerse in conversations throughout the organization. This makes it all the more important for you to be up to speed with timelier and more engaging ways of getting through to your audience.